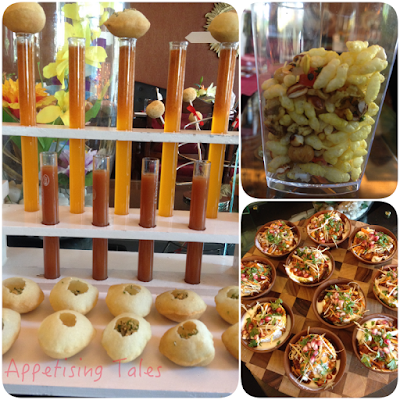 What are the five things that a host has in mind while planning a party? 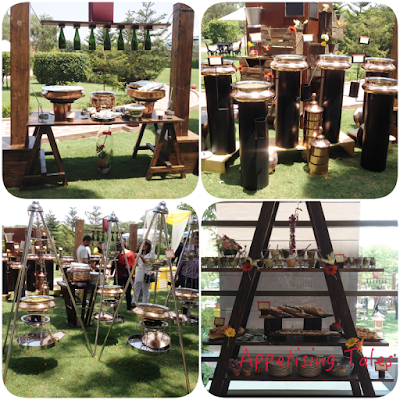 · And finally, creating a memorable experience for their guest. And if all this can be attained with the least amount of hassle for the host, what can be better! This is how Select Events and Dining comes into the picture. One of the first things Ishaan Sarkar, CEO, Select ED, said to me was: “We’re not another run of the mill catering company. We believe in creating memorable dining experiences for our clients.” And this is exactly what they did for us. Understanding that it is difficult to showcase the variety of their food and service based on one trial, Select ED invited us for a Culinary Trail spanning three meals. We thus trotted off for a weekend of gastronomic delight where we indulged in an extensive high tea, a sit down dinner and a leisurely brunch the next noon, each highlighting not only different dishes but also creating a different ambience, setting and layout. The varied settings and styles of service offered by SelectED. Before I go on about the Culinary Trail, I'd like to tell you a bit about the venue. Situated an hour’s drive from Delhi, Heritage Village Resort & Spa, Manesar is nestled in 12 acres of lush greenery. The property has been beautifully renovated, the rooms are well equipped and tastefully done; the lawns are immaculately manicured; there’s a lovely spa boasting an ambient relaxing lounge, individual massage rooms as well as one for couples, a special hamam room for various kinds of scrubs and of course a well equipped fitness centre. With 16 conference facilities and 154 rooms the property is ideal for corporate events. An extensive outdoor play area for kids, tennis courts, horse riding, swimming pool, and all-inclusive holiday package also makes it ideal for families. As the GM, Gopal Vaideswaran shows us around the property he informs us that although the resort enjoys at least 70% occupancy through the year there is a dedicated team to ensure that it is maintained in top condition. 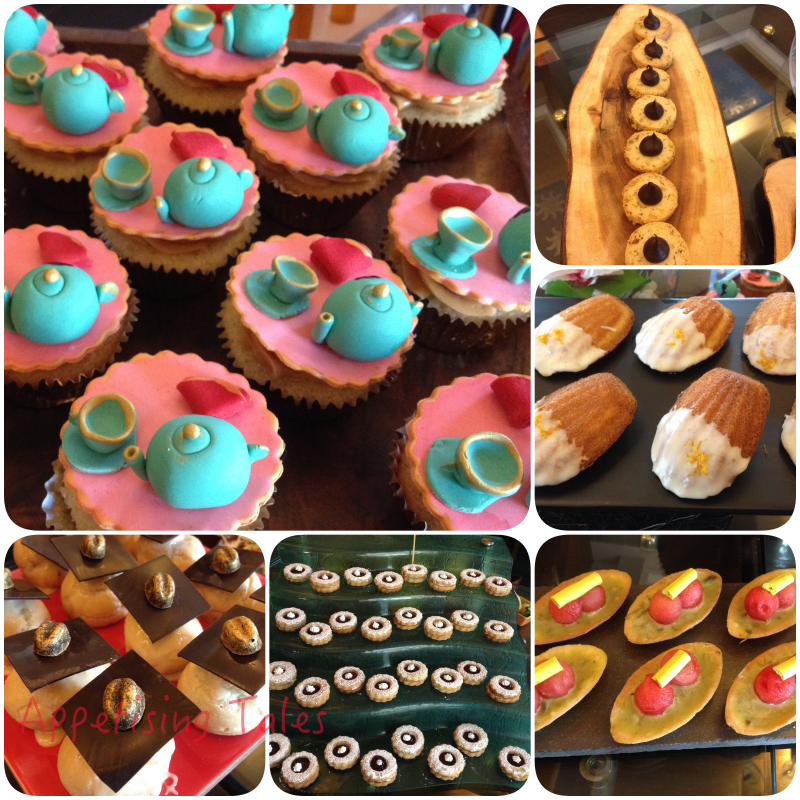 Our gastronomic journey starts with an extensive high tea. We are treated to a range of sweet and savoury fare. 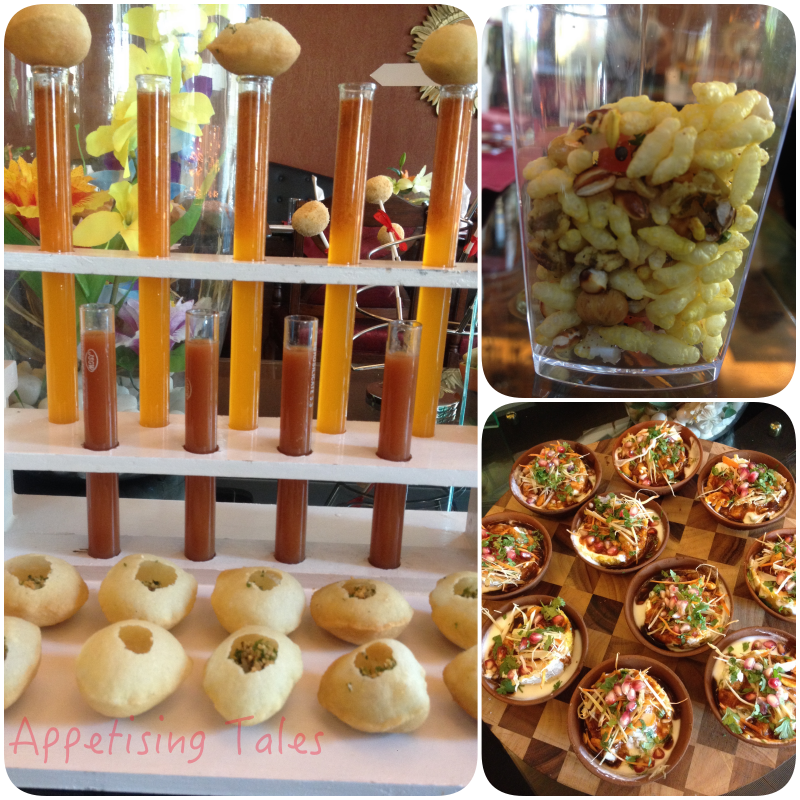 Apart from finger food such as mini pizzas, calzones and cookies, one finds a mélange of street food from Delhi, Mumbai and Kolkatta. Thus there’s lachcha tokri, gol gappas stuffed with tabbouleh, kala khatta chuskis and freshly made jhal moori. 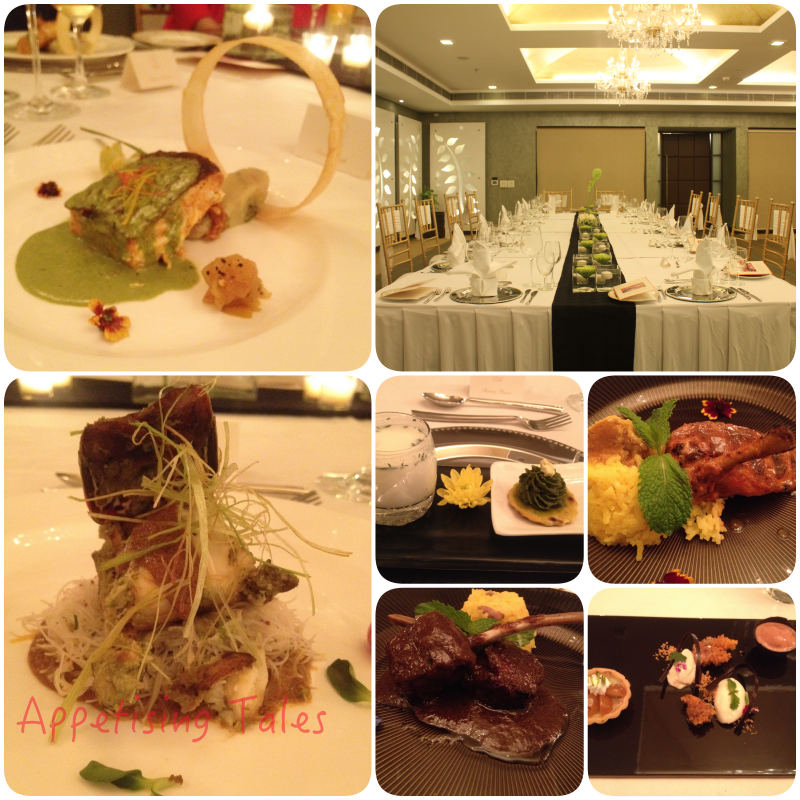 SelectED also prides itself in offering fusion fare. So in all their menus you’ll find Indian elements served with western touches or cooking styles.While we enjoy unusual flavours and combinations, every thing is served aesthetically, either individually plated or freshly assembled at our table. The Indian touches at the High Tea. I particularly like the sweet offerings in the high tea. There are tea infused cupcakes, cookies of various sort, pies and profiteroles. The Californian Avocado Pie topped with refreshing watermelon balls and Caramelised Lemon Ginger Tart with Mini Meringues are my favourite. Sweet offerings at the High Tea. The evening presents an entirely different mood and ambience. 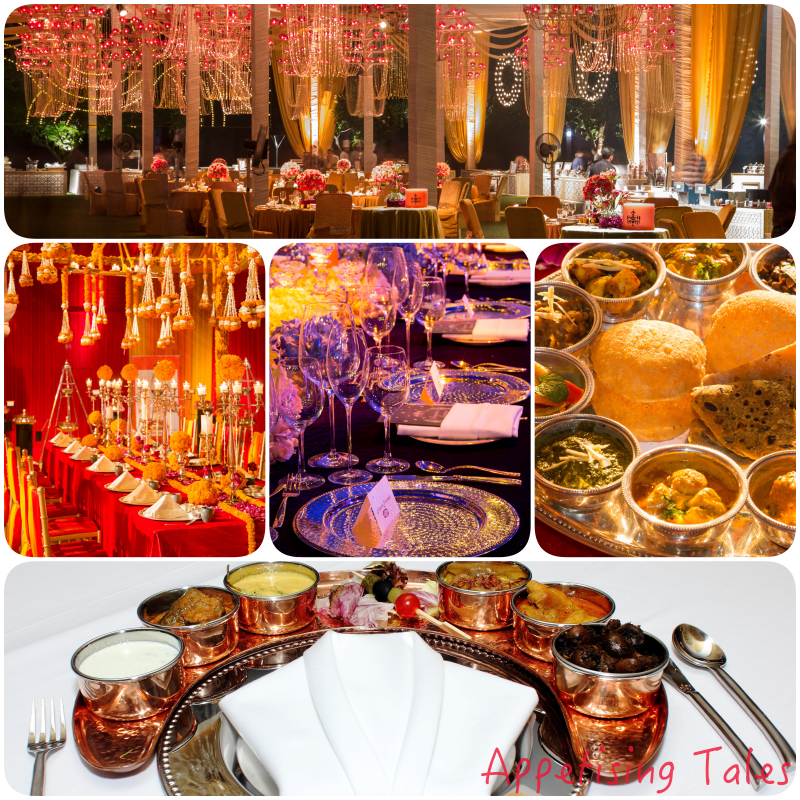 With personalized menus and immaculate service, we are given exotic choices such as Stuffed Baby Aubergines and String Hoppers with tamarind salsa; Tandoori Atlantic Salmon with basil pesto, aloo chokha and papaya relish; Grilled Lobster with String Hoppers; and, Murgh Nehari with Pulled Chicken Khichadi among others. The SelectED Dessert Platter is a winner with delicious ghevar, gulab jamun tart and a little chocolate cup with tangy raspberry to break the sweetness. The fancy sit down dinner. I love the setting of our brunch. Big handis dangling in tripod stands, lovely rustic platforms and live food counters make it all visually very appealing and appetising. The choice ranges from seasonal fruits, cold cuts and salads to a Japanese selection; ghar ka khaana like masoor dal and methi aloo to fancy biryanis and bheja fry; and, home made pasta to bao bun wraps. The slightly sweet baos come with delicious fillings like tofu ragout, lamb rendang and lemon fried shrimps. I have more than one, and settle on the charsui pork as my favourite. The beautiful outdoor brunch setting. SelectED is equipped to handle parties from a minimum of 15 people to more than 3,000. The senior management, including the CEO and Chef Culinaire Gaurav Mathur, ensures that they are present at each event hence they take only one event per day. 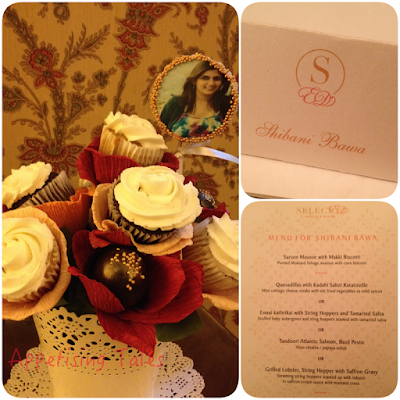 And what I appreciated the most were the customized touches that’ll make any guest feel very special. 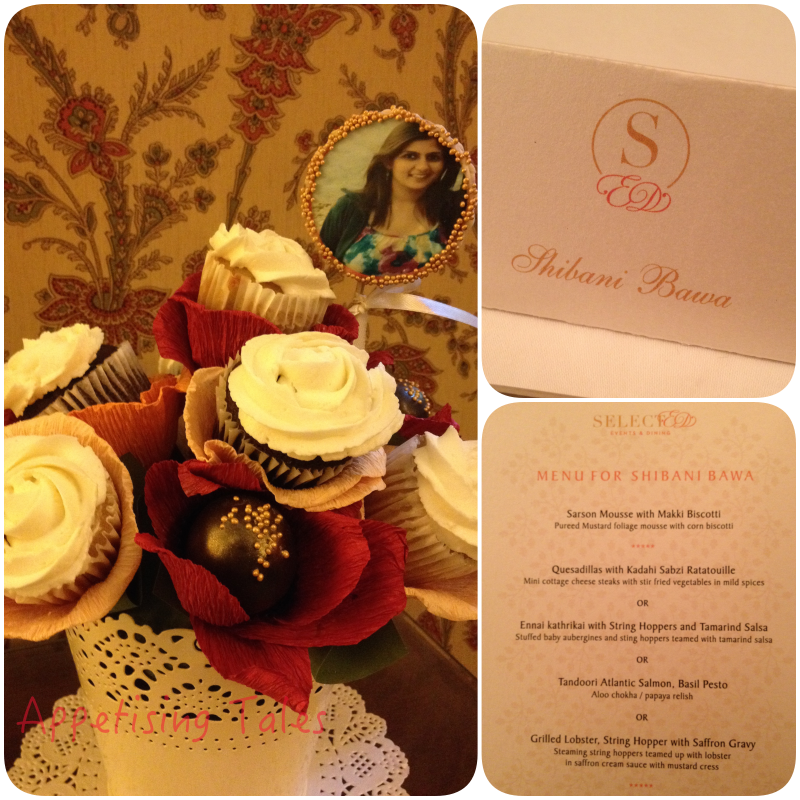 The welcome bouquet made of cupcakes and a customised cookie; place cards and personalised menu at the sit-down dinner. Select ED, Select Office Tower, 7th Floor, Select Citywalk, Saket, New Delhi-110017. Prices: Depend on the choice of menu, setting and service. Now outdoor party is treading in India, many functions and party are organize in outdoor, red chilli caterers is provide outdoor catering services in Delhi, Book now 8800209900.